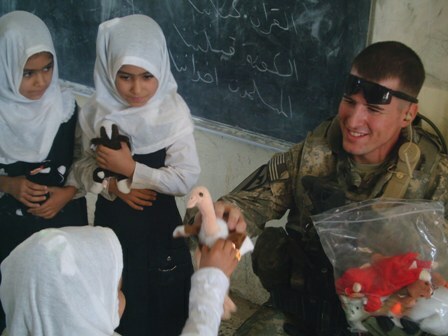 During interviews or book club discussions, I’m often asked how civilians can help our military. So I thought I’d take up a little cyberspace to recognize some of the exceptional ways people have gone above and beyond in support of our troops. A few months ago, I wrote a blog about a trip to Walter Reed. Many readers responded and asked for more information about the clothing and book drives that have been taking place there, outfitting our young Vets with everything from ties and suits for upcoming interviews, as well as providing children’s clothes and books for the families that live on the hospital grounds while their wounded Soldiers and Marines attend difficult rehabilitation. Well, the kind folk at Woodcock Washburn outdid themselves and “some things” became a deluge of generosity. Janis Calvo (who first recommended You Know When the Men are Gone to the Woodcock Washburn book club, and also knitted 20 pairs of booties to send to Walter Reed!!! I love you Janis!) 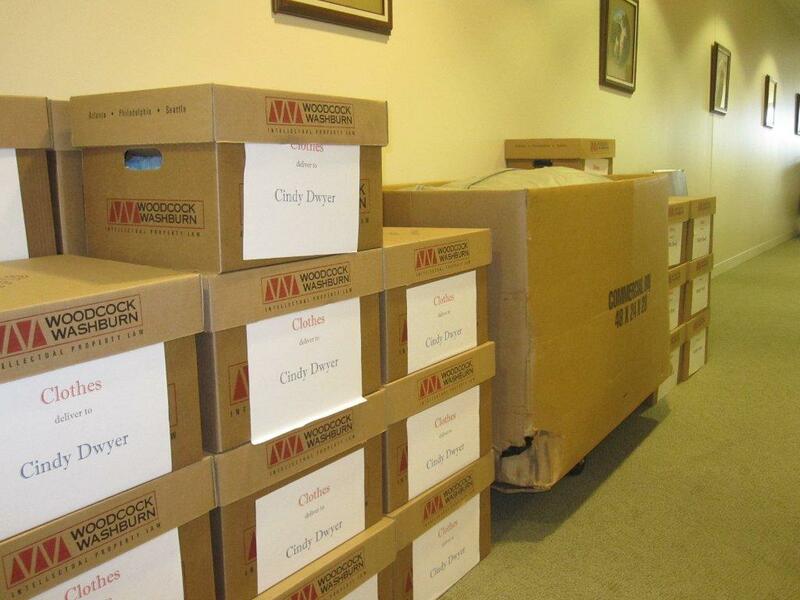 spent countless lunch hours alongside fellow employee Betty Rackus, organizing donated goods and packing everything up. The facilities manager, Bill Jordan (himself ex-military), helped with staging space and getting the materials shipped to Walter Reed. And extras: handmade hair bows; fancy fabric back packs; shoes; women’s clothing and coats; men’s pants and shirts; a Bill Blass trench coat; new-bought socks and ties, 4 bags of neatly folded and labeled children’s clothing – with little shoes! “We had our “interview clothing” distribution yesterday at Walter Reed National Military Medical Center. The guys came out of the woodwork! We advertized an hour-long visit but were there for over 2 hours as guys kept coming! I did have one lady with the great responsibility of matching ties (with suits). She had them all rolled up just like Nordstrom’s. Woodcock Washburn managed all of this, as well as sending 10 boxes of books and a very generous monetary donation to Operation Homefront in PA, NJ, and Delaware. I will never crack a lawyer joke again. 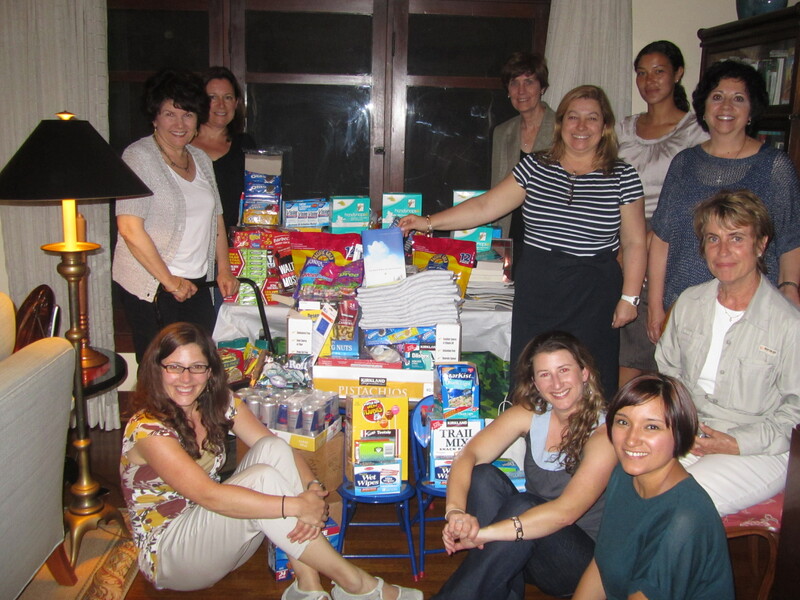 This isn’t the first time I’ve been moved to tears by book groups who decided to make packages for our troops. Please know that our soldiers and their families are equally amazed and grateful for these acts of generosity. 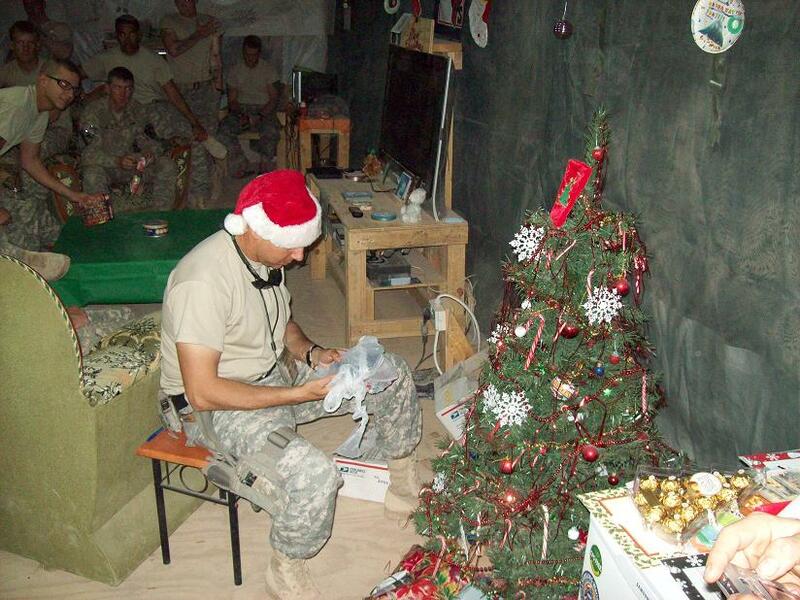 Some of my husband’s favorite deployment stories are those that center around the random boxes of gifts that rolled in on a Humvee—enough books from Hilton Head South Carolina (thank you Beth Evans!) to help start a University Library in the Maysan Province of Iraq, 50 care packages that included feather pillows from a country club in North Carolina (thank you Lynne Sneed and Ann Goldman!) for soldiers who had been resting their weary heads on rolled up t-shirts night after night, and countless other exemplary acts during his three deployments. 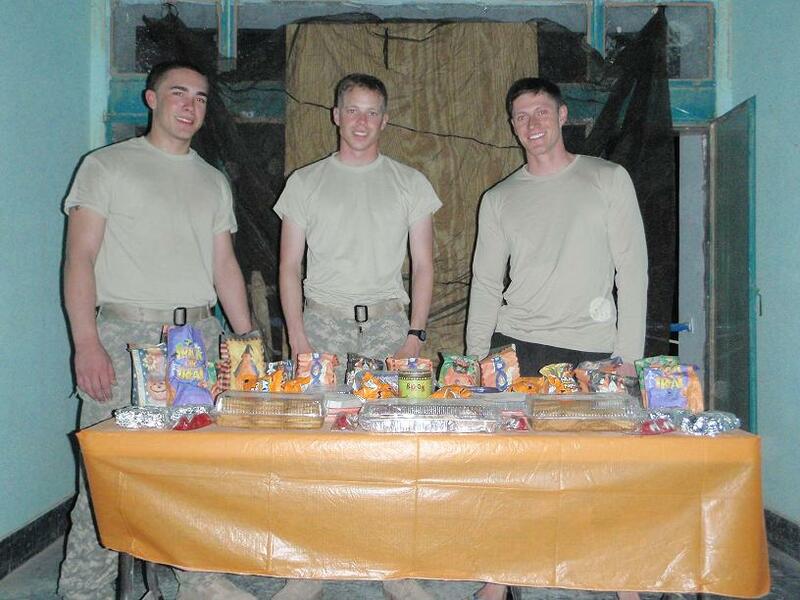 Like our wounded in Walter Reed, your generosity, from boxed-up hand-wipes and Twizzlers to Crayola-ed cards from First Graders, lets our soldiers know that they are not forgotten. Soldiers in Iraq opening up Christmas care packages. Donated beanie babies handed out at girls' school, Iraq. Please remember all of our troops currently fighting in Afghanistan– I bet quite a few of them would love to hear from folks at home.